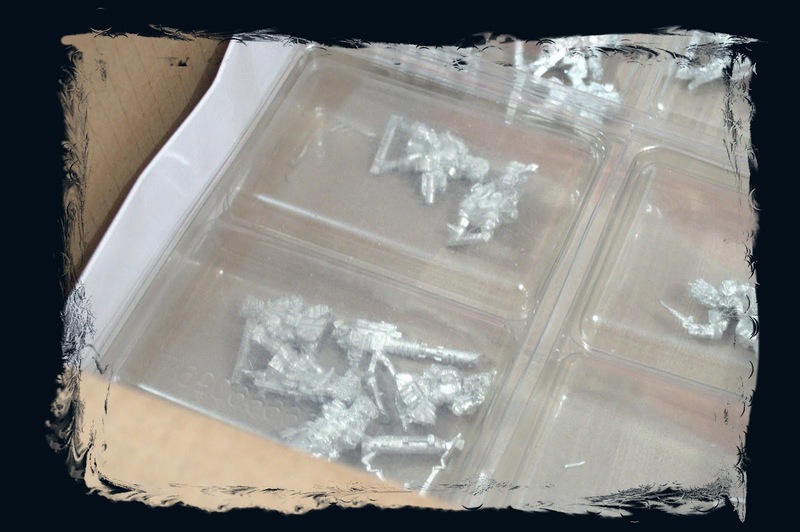 In this blog you will find among other things projects in which I'm working, tutorials, news and anything that is related to this awesome hobby of painting miniatures and wargames. 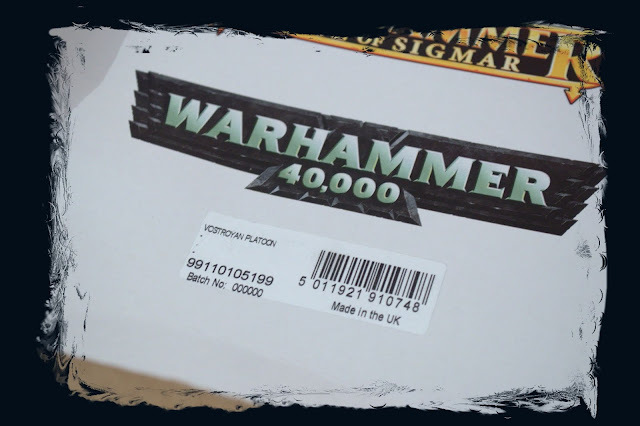 Last year at the end of December, Games Workshop announced that for one week only was going to put on sale the entire range of miniatures of the Vostroyan army. 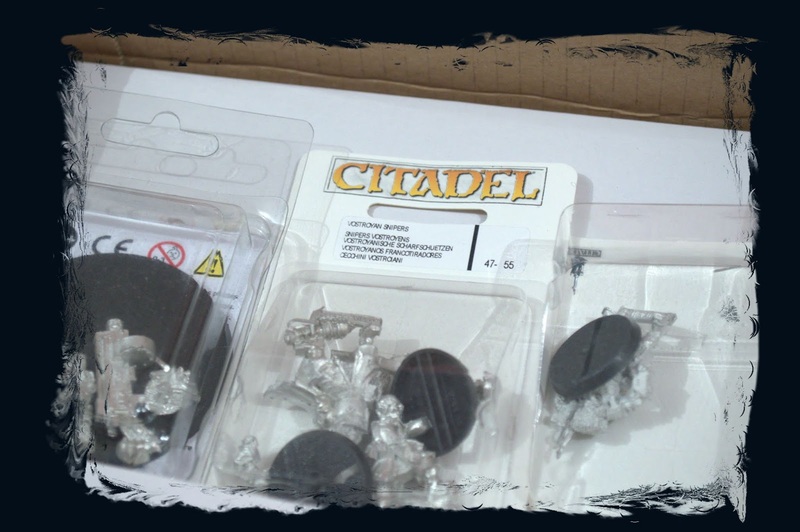 It was very tempting, the only doubt I had was if these miniatures were made of metal or resin. 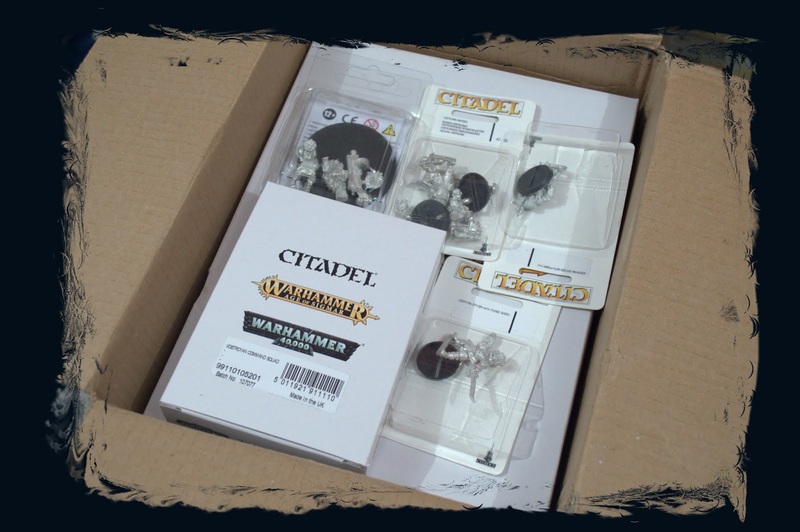 And without thinking twice I got some of them, to tell the truth I bought at least one of each model. 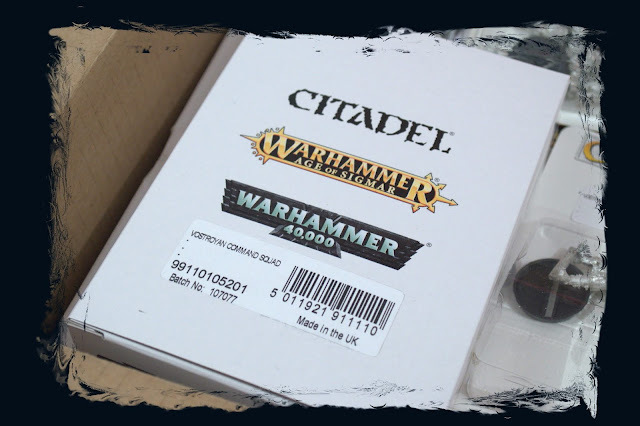 A few days ago the package arrived and to my surprise I can tell you that all the miniatures are made of metal and without delay here is the unboxing. The vostroyan command squad still in the box. 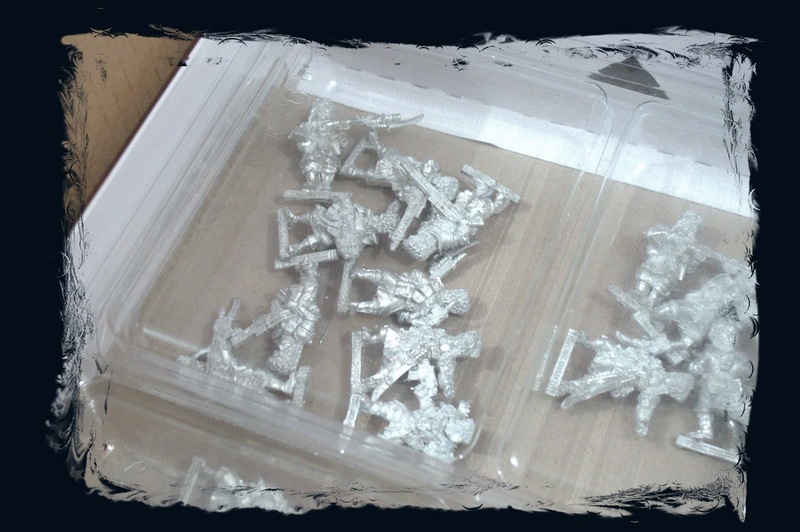 Here we see two snipers, a heavy bolter team and an officer. Another officer with power sword. This is the big box of the package, a vostroyan platoon. 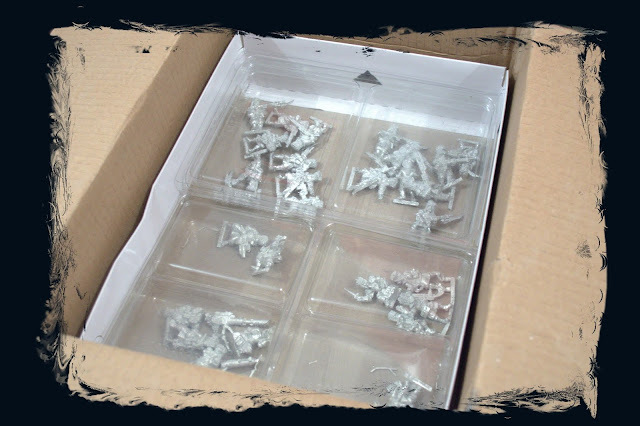 In the interior of the box we can see a lot of miniatures. 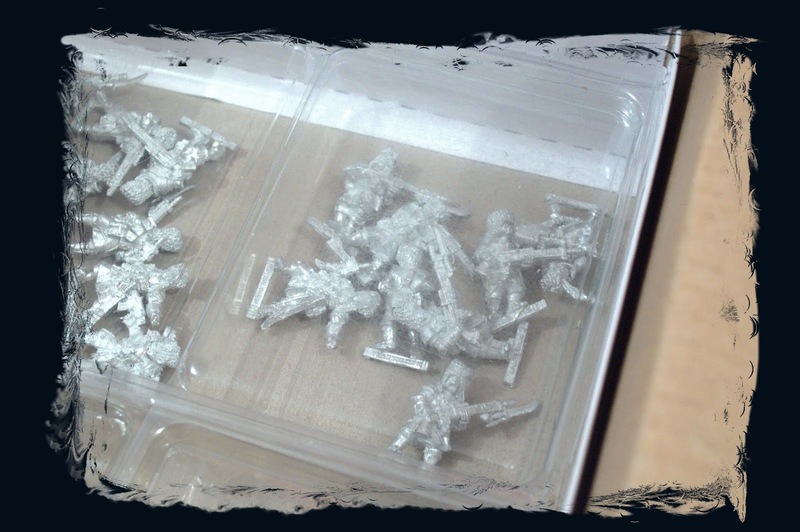 Here are a lascannon team, mortar team and a grenade launcher. 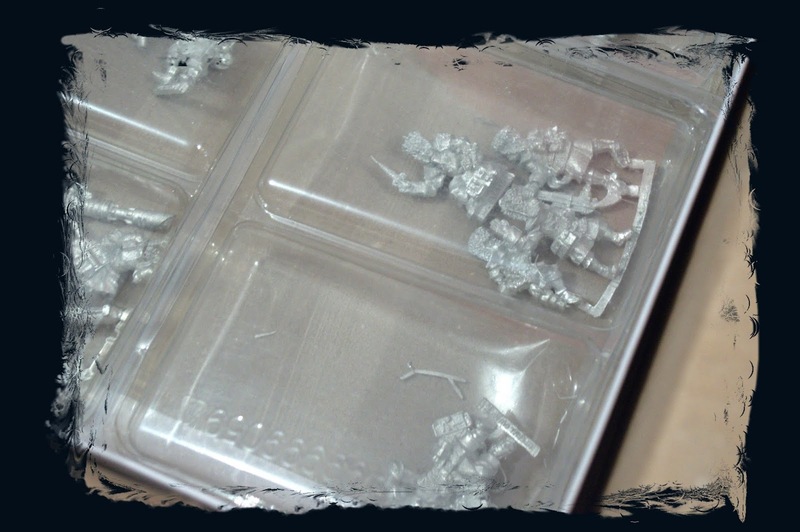 And last here we have a medic and three casualties miniatures. Thank you for reading this post and remember that all your comments are welcome. For a while I had the idea of ​​writing my own blog, but for one reason or another I let it go. Now that I have more free time, I decide to create this blog. 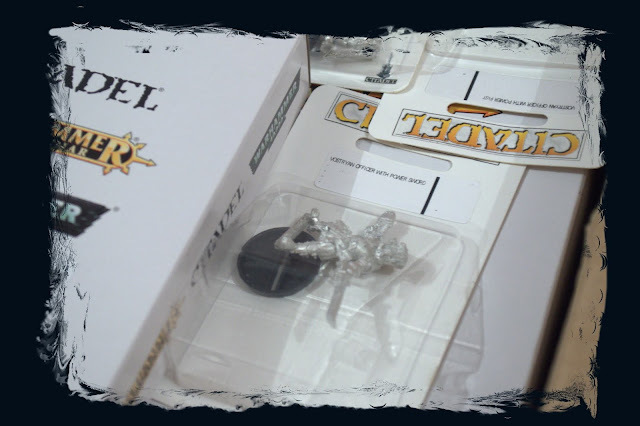 I had many ideas about what to do and in the end I choose one of them and it was about one of my favorite hobbies, painting miniatures and playing tabletop games. 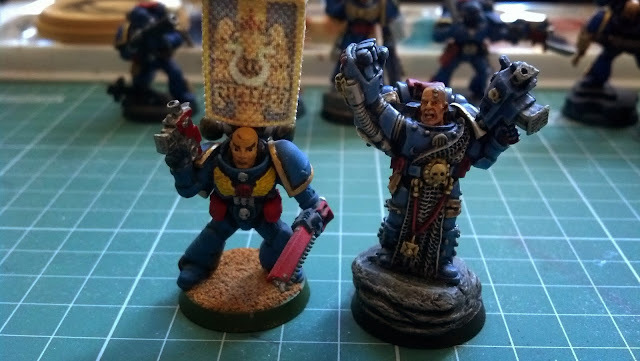 And with these words I start a new adventure and here I leave you with an image that shows one of the first miniatures I painted at the end of 2004 (left) next to one that I finished painting a some time ago (right). See you next time.